For information and a quote, complete our "info request form"- see link at left. Or phone during business hours. Or email or fax .Tell us clearly what you need. All inquiries receive personal attention by our experts, and we always respond, by phone or email, as fast as we can. 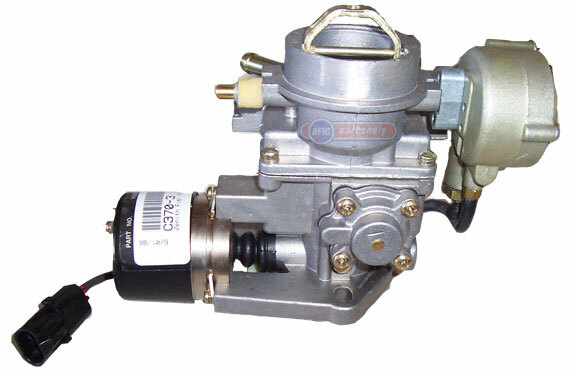 We'll supply the right carburetor for nearly any vehicle --- car or pickup truck, medium duty truck, van or Jeep, RV, SUV or motor home. Our coverage includes Domestic, Asian and European models. Plus we're expert with in-board marine applications, and industrial and farm equipment. Check with us first. We're focused on quality, and we support the full range of driving and boating needs, from stock daily drivers to street performance. Off-road. Towing. High altitude. Muscle cars and hot rods. Sports cars. And all types of racing. But sorry, our lines do not include carburetors for motorbikes, outboards, ATV or PWC's. 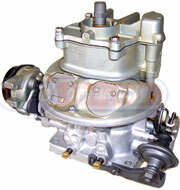 We're a factory-authorized distributor, with brand new carburetors from Holley and Weber . 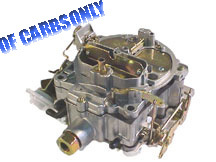 Excellent quality remanufactured carburetors for most applications. Many rare and NOS carbs, including matching numbers. Skilled rebuilding and repairs on-site. Expert restorations. Jets and rebuild kits in stock. All major credit cards accepted. We ship worldwide. Thousands of satisfied customers, in the U.S. and throughout the world. Follow our links for more information. Then contact us, or come on by. Our business is built on a foundation of quality, service and integrity..